Editor’s Note: Graham and I started music sites around the same time. He has been pursuing some life dreams of his own and had to put down writing for a bit. We’ve been enjoying music together since college and we were able to catch some shows recently, it had been a minute. Feels better than ever to get back in the swing of things. Graham’s background in music is eclectic and will certainly add some great flavor to LiveMusicDaily. About five years ago, when I stopped writing about music, I discovered a group called Guts. Every now and again you come across a group that is indefinable in their sound, unique in their presentation, and keeps you wondering; who dropped this ice cream in my ear, and can I have some more please? Welcome to Guts. From France, Guts mixes sound and soul in a blend that makes your Starbucks caramel mocha latte jealous. I would highly recommend the purchase of Les Bienheureux, an older album, but one which ages well. In fact, Guts has been aging well since the early 90’s when he first started his unique blend of sounds. Guts makes scratching and sampling an art form. Initially, in the early 90’s, Guts was drawn into New York’s old school hip hop scene with the likes of Public Enemy & KRS One, creating Alliance Ethnik in 1990, an album that grew his prominence in the scene. Eventually Guts would find a coach in Bob Powers of The Roots & A Tribe Called Quest; an inspiration for how he would continue his journey of scratches & samples. You will hear influences from the old school hip hop scene of sampling; but also Senagalese sounds from his time in Africa, working with Youssou N’Dour studios, and in Jamaica with artists such as; Sacha, Michael Rose, & Anthony B. Guts has traveled all over and spent decades tapping into his extensive vinyl collection to bring us the melody best described as Guts. So sit back, and let Guts smear crème brûlée all up in your ear, either way, you’ve never ingested music in a form like this. 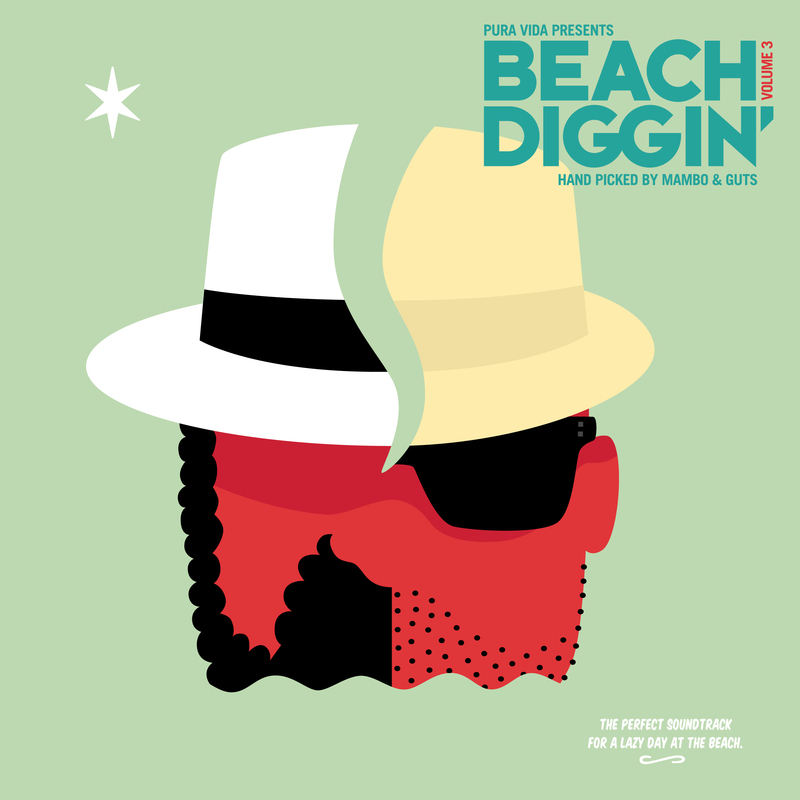 If you’re looking for something more recent, Guts has just released Beach Diggin Vol. 3, a collection of smoothly exultant summer sound for those blue seas, waves that gently rock you, and a complement to that ice cold drink in your hand. Guts offers a collection of sounds that will teleport you to Rio in the 70’s, your beach trunks will have halved in size, but the groove will have doubled. I’m proud to say Guts has me writing about music again, and that they’ve treated my ear, your ear, and all our ears, to a delicious French desert. Check out snippets from their latest album, which just released on July 10th or buy it on iTunes.